Radioamateurs often need a precise time and frequency standard. The cheapest source of this signal is usually a GPS. 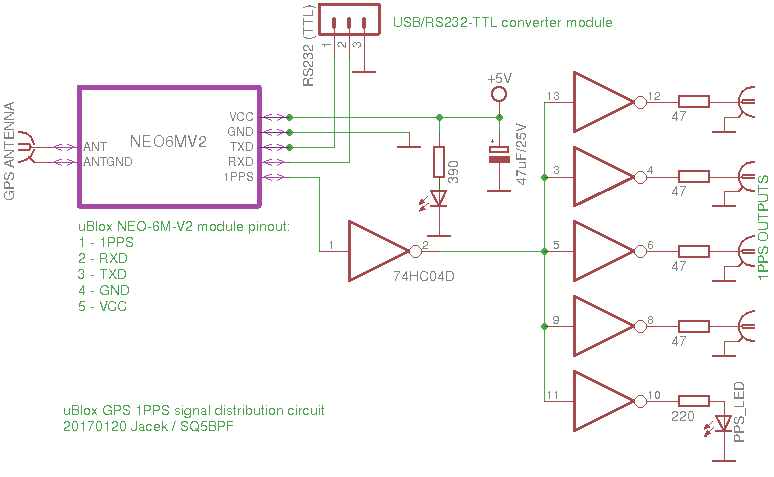 This article describes a simple 1PPS signal source and distribution amplifier. 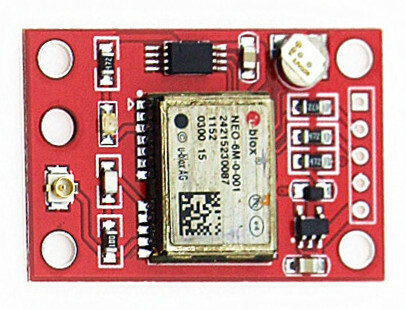 GPS receivers usually have a 1PPS output. This is one impulse per second, with the rising edge exactly on the begining of each second. Sometimes there are also other outputs such as . 1kHz, 10kHz, 10MHz etc. 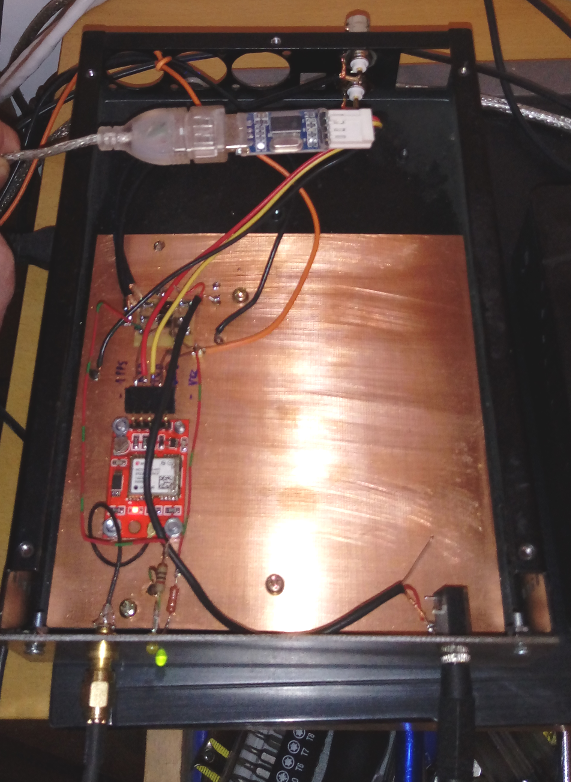 The 1PPS signal source in this article is a u-bloc NEO-6M GPS receiver. I’ve used a cheap (about 15 euro) NEO6MV2 module, presented on Fig 1. Other modules can also be used, as long as they have a 1PPS output. Fig 2 shows the distribution amplifier. A 74HC04 is used as a buffer, the outputs are avaliable as BNC sockets. One of the 74HC04 outputs is used to drive a LED which shows the 1PPS signal. The antenna input is connected to a SMA socket for an external GPS antenna. This antenna should see at least a few GPS satellites, usually it sufficient to place it just outside the window. Communication with the GPS module can be done via the RS232-TTL serial port using the USB/RS232-TTL module visible on the upper part of Fig 3. Because i’m using the 1PPS signal in vlfrx-tools, the pulse has been shortened to 1ms (it’s 100ms by default).